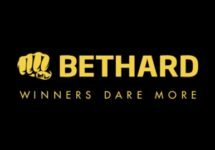 Bethard – Daily Casino Deals / Week 45! Bet hard with daily Free Spins, Random Cash Drops or Cashback Bonuses! Ready to dive into a new gaming week? 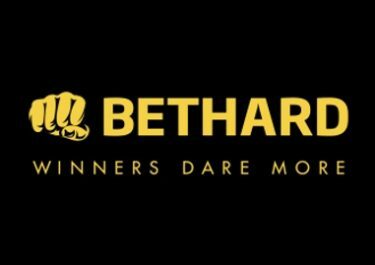 Then Bethard would be a good place to start as they are one of the casinos offering a daily casino deal for Free Spins, Bonuses, Cashback and Random Cash Drops, for both mobile and desktop gaming. Check out the latest treats as most of the rewards are completely wager free or come with a ultra low 1x wagering requirement. That means that most are cash money, no restrictions, no bonus rules to follow. Start on Monday with up to 30 Free Spins on the mobile version of Netent’s latest blockbuster slot Planet of the Apes™. Bethard not yet your betting and gaming hangout? Then sign-up now and enjoy their superb Welcome Package, starting with 10 no-deposit Free Spins just for registering an account, followed by a 100% deposit bonus, up to €500, plus 50 Free Spins for the first deposit and a 50% match bonus and a whopping 150 Free Spins for the second deposit. Carry on with 200 and 250 Free Spins for deposit three and four respectively. Bonus terms and conditions apply. 18+ only. Monday, 6th November 2017 – Go Mobile: Deposit €20 | €50 from your mobile – receive instantly 10 | 30 Free Spins on the mobile version of Planet of the Apes™. Winnings from the Free Spins are wager free. Tuesday, 7th November 2017 – Never Lose: Get a 10% cashback on net losses from play on any Live Casino table, up to €100. Credited on Wednesday with only 1x wagering requirement. Bonus terms and conditions apply. Wednesday, 8th November 2017 – Spin More: Get 10 Free Spins on Wild Wild West: The Great Train Heist™ for every €20 wagered on Koi Princess, up to 100 Free Spins, credited on Thursday with no wagering requirements on the FS winnings. Thursday, 9th November 2017 – Cash In: €1,000 Random Cash Drop with 20 prizes from €5 – €100. Play actively on Route 777 & White Rabbit to qualify. Prizes are credited as bonus on Friday by 12:00 CET with a 1x WR.